Two years ago, Fox News was the unchallenged king of the cable news networks with ratings that sometimes exceeded the combined total of CNN and MSNBC. Last year, Rachel Maddow showed surprising strength against her competition, Sean Hannity. But now it is becoming a regular occurrence that MSNBC beats Fox News over significant parts of the daily schedule. 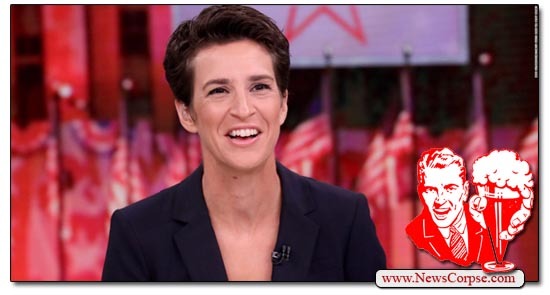 MSNBC’s ratings success is driven by Maddow’s continued surge. She is no longer a quirky thorn in Fox’s side. She regularly wins her time period in the coveted advertising demographic of 18-34 year olds. In March she beat Hannity every single day of the month except for one. Her average audience for the month was 651,000. That compares to Hannity’s average of 568,000. But even more impressive is that Maddow also bested Hannity in total viewers fourteen out of the twenty-one weekdays in the month. Her average for total viewers was 2.99 million vs. Hannity’s 2.87 million. MSNBC should also be proud of having better audience numbers in the demo than Fox News for most of the evening hours including primetime. 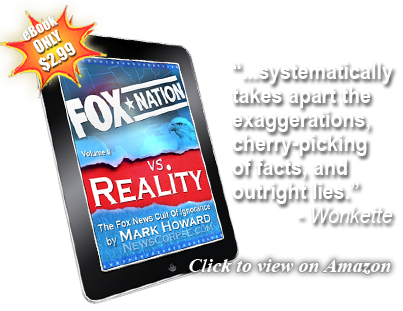 Their average from 4:00pm to midnight was 458,400 vs. Fox’s 455,800. The Last Word with Lawerence O’Donnell won its time period thirteen of the twenty-one weekdays in March. And The 11th Hour with Brian Williams came out on top on nineteen days. Both of those programs scored higher than their competition (Laura Ingraham and Shannon Bream respectively) for the full month. And although Fox News generally did better during most of the daytime time periods, Deadline with Nicolle Wallace managed to beat Fox’s Neil Cavuto on eight days. A weak point in MSNBC’s schedule is All In with Chris Hayes. Which is too bad because it’s an excellent show that has been recognized with multiple Emmys. 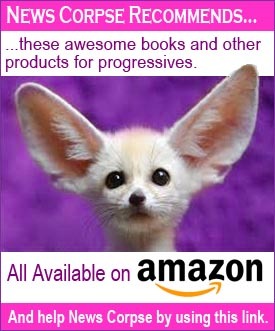 However, it needs some juice if it’s going to be a decent leadin for Maddow and the rest of their primetime. They should think about pairing Hayes with Joy Reid as a co-host. Reid’s weekend program has been showing strength and is popular among MSNBC’s core audience. And it wouldn’t hurt to consider swapping Nicolle Wallace into Chris Matthew’s Hardball slot. Wallace has demonstrated her ability to pull in viewers, and Matthews may play better in the earlier, newsier part of the day. The bottom line is that Fox News can no longer consider itself the number one network for cable news. It has been declining with each new reporting period. In January Fox News dropped fourteen percent in primetime. And February topped that with an additional fifteen percent decline. Meanwhile, MSNBC gained significantly in both of those months. February’s percentage gains were over twenty percent. Even worse for Fox News was their actual earnings performance. Their revenue rose less than either of their competitors – a measly seventeen percent. CNN’s rise doubled that to thirty-two percent. And MSNBC rocketed up sixty-two percent. We can expect Fox’s earnings to fall even more in April with the advertiser exodus they are experiencing due to Laura Ingraham’s reprehensible attack on David Hogg, one of the survivors of the Marjory Stoneman Douglas high school shooting in Parkland, Florida. So far there are at least eighteen major advertisers who have pulled their business from her show. And in the midst of that she just announced that she will be on “vacation” all of next week. For the record, that’s the same thing Bill O’Reilly did after his advertisers bailed en masse and just before he was canned by Fox. UPDATE: Forbes affirms the above ratings analysis. This is such great fun! MSNBC is my favorite, I confess. Yes, I enjoy CNN as well, but connect more with Rachel and that crowd and their daytime host are engaging–Andrea Mitchell, et al. And with the resignation of the longtime Fox host who declared he couldn’t do it anymore, that Fox was just a propaganda station, I suggest we find someone who would create the Joseph Goebbels’ Propaganda Award to bestow on Murdoch Madness. Bill O’Reilly still trying to salvage his sexual predator career—fewer opportunities, Billy? And Tucker Carlson, he of the monied and educated San Franciso background, trying to be just a humble idiot, deserves recognition as being angry for what? I guess it’s just what happens when we’re presented with detailed FACTS as opposed to Fox’s FAKES.